Key Difference: WAV is an audio format. It stands for Waveform Audio File Format, and was developed by Microsoft and IBM for PCs. On the other hand, MIDI stands for Musical Instrument Digital Interface. A MIDI is a file that records music and controls the notes of each instrument, what note of the scale is, etc. MIDI and WAV, both are well-known digital audio file formats; other than this almost everything is different in them. WAV stands for the Waveform Audio File Format. 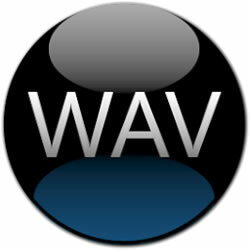 WAV is an uncompressed file which broadcast a good quality of music CD files. Uncompressed means they are exact copies of the original source audio. It has the same quality, but is stored a bit differently. WAV audio file format is much more universal. Since they are uncompressed, they take up a lot of needless space. If one needs to edit the file again, then he should not save the file in this format. WAV files can be more easily manipulated and edited; it is more preferable for professionals or businessmen for higher quality. It is not a popular file format for transferring over the internet, but then also due its simplicity and quality it is well-liked. The filename extension for WAV is .wav. WAV is similar to the AIFF file format that is Audio Interchange File Format. It is mostly compatible in Windows, but now is supported in Apple Macintosh operating systems too. It is the official format most of the time that is used for playback and transfer of music on digital audio workstations. MIDI stands for Musical Instrument Digital Interface. A MIDI is a file that records music and controls the notes of each instrument, finishes, how loud, what note of the scale is, etc. It can be any MIDI instrument. 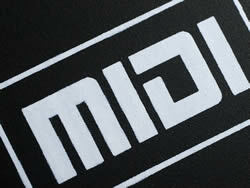 MIDI is pronounced as middy. MIDI was first announced in 1982, and by December it actually appeared on an instrument. After that time the electronic musical devices have increasingly became very common. It is used in instruments that have sound cards, synthesizers and sound generators that control music. It is a format that is universally accepted and if one synthesizer has produced music using MIDI format, then that can be modified with another synthesizer. Today, there are lots and lots of software to compose and edit music. In computers, the students, who are all specializing in audio or video editing, can install this kind of software and reproduce input music as written score (sheet music) and vice versa. One can find it in mobile phones, computers and musical instruments. One can also find this software by companies like Sony, Yamaha, Apple, etc. A WAV file is an audio file format, created by Microsoft that has become a standard for PCs in everything from system and game sounds to CD-quality audio. A MIDI file is software for representing musical information in a digital format.